Alpert M. (1992). Accelerated empathic therapy: a new short-term dynamic psychotherapy. International Journal of Short-Term Psychotherapy, 7: 133-156. Beeber A.R. (1999). The perpetrator of the unconscious in: Davanloo’s new metapsychology. Part I: review of classic psychoanalytic concepts. International Journal of Intensive Short-Term Psychotherapy, 13: 151-157. Beeber A.R. (1999). The perpetrator of the unconscious in: Davanloo’s new metapsychology. Part II: comparison of the perpetrator to classic psychoanalytic concepts. International Journal of Intensive Short-Term Psychotherapy, 13: 159-176. Beeber A.R. (1999). The perpetrator of the unconscious in: Davanloo’s new metapsychology. Part III: specifics of Davanloo’s technique. International Journal of Intensive Short-Term Psychotherapy, 13: 177-189. Coughlin Della Selva P. (2001). Working to identify and remove tactical defenses. In: Guerrini, Osimo & Bacciagaluppi, 2001. Davanloo H. (1987). Clinical manifestations of superego pathology. International Journal of Short-Term Psychotherapy, 2: 225-254. Davanloo H. (1988). Clinical manifestations of superego pathology. Part II. The resistance of the superego and the liberation of the paralyzed ego. International Journal of Short-Term Psychotherapy, 3: 1-24. Davanloo H. (1990). Unlocking the Unconscious. Toronto: Wiley & Sons (trad. it. : Il terapeuta instancabile, Milano: Franco Angeli). Davanloo H. (1995). Intensive short-term dynamic psychotherapy: spectrum of psychoneurotic disorders. International Journal of Short-Term Psychotherapy, 10: 121-155. Davanloo H. (1995). Intensive short-term dynamic psychotherapy: technique of partial and major unlocking of the unconscious with a highly resistant patient – part I. Partial unlocking of the unconscious. International Journal of Short-Term Psychotherapy, 10: 157-181. Davanloo H. (1995). Intensive short-term dynamic psychotherapy: major unlocking of the unconscious – part II. The course of the trial therapy after partial unlocking. International Journal of Short-Term Psychotherapy, 10: 183-230. Davanloo H. (1996). Management of tactical defenses in Intensive Short-Term Dynamic Psychotherapy, Part I: Overview, tactical defenses of cover words and indirect speech. International Journal of Short-Term Psychotherapy, 11: 129-152. Davanloo H. (1996). Management of tactical defenses in Intensive Short-Term Dynamic Psychotherapy, Part II: Spectrum of tactical defenses. International Journal of Short-Term Psychotherapy, 11: 153-199. Foote B. (1992) Accelerated empathic therapy: the first self-psychological brief therapy? International Journal of Short-Term Psychotherapy, 7: 177-191. Foote J. (1992) Explicit empathy and the stance of therapeutic neutrality. International Journal of Short-Term Psychotherapy, 7: 193-198. Fosha D. (1992). The interrelatedness of theory, technique and therapeutic stance: a comparative look at Intensive Short-Term Dynamic Psychotherapy and Accelerated Empathic Therapy. International Journal of Short-Term Psychotherapy, 7: 157-176. Fosha D. (1995). Technique and taboo in three short-term dynamic psychotherapies. Journal of Psychotherapy Practice and Research, 4: 297-318. Fosha D. (2000). The Transforming Power of Affect. New York: Basik Books. Fosha D. (2001). The dyadic regulation of affect. Journal of clinical Psychology/In Session, 57: 227-242. Fosha D. (2001). Change: emotion, body and relatedness. In: Guerrini, Osimo & Bacciagaluppi, 2001. Fosha D. (2001). The healing affects and metatherapeutic processes. In: Guerrini, Osimo & Bacciagaluppi, 2001. Fosha D. (2001d). Core affect and its dyadic regulation. In: Guerrini, Osimo & Bacciagaluppi, 2001. Fosha D. (2004). ‘Nothing that feels bad is ever the last step:’ the role of positive emotions in experiential work with difficult emotional experiences. Clinical Psychology and Psychotherapy, 11: 30-43. Fosha D. (2008). Trasformance, recognition of self by self, and effective action. In K.J. Schneider (Ed) Existential-integrative psychotherapy:guideposts to the core of practice, pp. 290-320. New York: Routledge. Fosha D. & Slowiaczek M. (1997). Techniques to accelerate dynamic psychotherapy. American Journal of Psychotherapy, 2: 229-251. Guerrini A., Osimo F. & Bacciagaluppi M., a cura di (2001). Atti della conferenza “Fattori essenziali per un’efficace psicoterapia dinamica breve”. Quaderni di Psichiatria Pratica, 17/18. Kalpin A. (1994). Effective use of Davanloo’s “head-on-collision”. International Journal of Short-Term Psychotherapy, 9: 19 -36. Malan D. (1986). Beyond interpretation: initial evaluation and technique in short-term dynamic psychotherapy. Part I. International Journal of Short-Term Psychotherapy, 1: 59-82. Malan D. (1986). Beyond interpretation: initial evaluation and technique in short-term dynamic psychotherapy. Part II. International Journal of Short-Term Psychotherapy, 1: 83-106. McCullough Vaillant L. (1994). The next step in short-term dynamic psychotherapy: a clarification of objectives and techniques in an anxiety-regulating model. Psychotherapy, 31, 4: 642-654. McCullough Vaillant L. (1997). Changing Character. New York: Basic Books. Osimo F. (1991). Time limit, focality and intensive short-term dynamic psychotherapy. International Journal of Short-Term Psychotherapy, 6: 35-51. Osimo F. (1994). Method, personality and training in short-term psychotherapy. International Journal of Short-Term Psychotherapy, 9: 173-187. Osimo F. (2001). 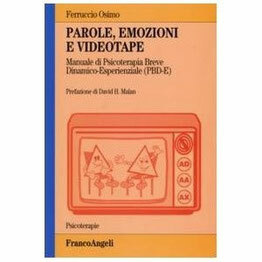 Parole, emozioni, videotape. Manuale di Psicoterapia Breve Dinamico-Esperienziale. Milano: F. Angeli ed. Osimo F. (2001). 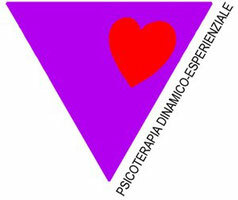 Relazione e metodologia in Psicoterapia Breve Dinamico-Esperienziale (PBD-E). In: Guerrini, Osimo & Bacciagaluppi, 2001. Osimo F. (2001). L’esperienza emozionale sufficientemente buona. In: Guerrini, Osimo & Bacciagaluppi, 2001. Osimo F. (2002). Brief Psychodynamic Therapy. 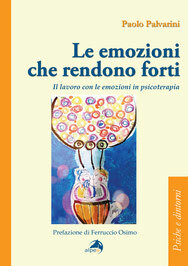 Capitolo dal: Comprehensive Handbook of Psychotherapy. Volume I. Volume Editor, J.J.Magnavita. New York, Wiley. Osimo F. (2003). 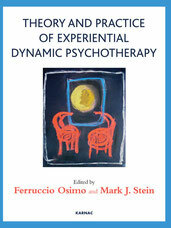 Experiential Short-Term Dynamic Psychotherapy: A Manual. Bloomington, IN. : Authorhouse. Osimo F. & Stein M. (Eds) (2012). Theory and Practice of Experiential Dynamic Therapy. Karnac. Palvarini P. (2005). La psicoterapia breve di ultima generazione: la terapia dinamico-esperienziale. Psicoterapia e Scienze Umane, 3: 323-346. Palvarini P. (2009). La relazione reale come fattore terapeutico in psicoterapia. Psicobiettivo, 1: 131-147. Palvarini P. (2010). Is the concept of corrective emotional experience still topical? American Journal of Psychotherapy, 2: 171-194. Palvarini P. (2010). La forza del positivo in psicoterapia. Psicobiettivo, 2: 81-100. 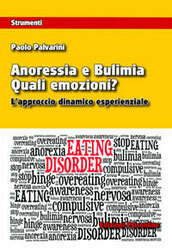 Palvarini P. (2013) Anoressia e Bulimia. Quali emozioni? Francavilla al Mare: Edizioni Psiconline. Said T. (1996). Current status of criteria for selection of patients for short-term dynamic psychotherapy. International Journal of Short-Term Psychotherapy, 11: 99-127.